There were very clear reasons why Donald Trump won the 2016 Presidential election. But you won’t read about them in Hillary’s new book. Donald Trump was able to tap into a surging tide of resentment towards the establishment. Millions of Americans were watching how their government was doing things and demanded change. Traditional, insider politicians had become the face of evil. Regardless of their party, they all seemed to want the same thing. Often that did not reflect the desires and intentions of the very people who put them into office. In a brilliant move, Trump was able to capitalize on this sentiment, which swept him into office. He was able to position himself as an outsider—someone who would challenge the current, corrupt system, and “drain the swamp.” While you might not think a billionaire from New York is anywhere close to being an outsider, he made himself that way by supporting very specific goals. Yet in recent months it seems like Trump is becoming a different leader. He is shedding the populist stance that got him into office, taking a more appeasement route. This is seen by the dismissal of White House Chief Strategist Steve Bannon—a fierce and uncompromising populist and the introduction of staff that are far less passionate. Some would say, swamp dwellers. Trump supporters feared that he was going to renege on his promise to drain the swamp and listen to the American people. They feared that his controversial, yet crucial promises would be neglected. The tipping point came when he announced he was considering backing off his earlier stance on the Deferred Action for Childhood Arrivals policy. This Obama-era policy allowed illegal immigrants to stay in the United States, if they were children. This of course created a veritable backdoor for illegal aliens to enter the country. They could not be deported, if they were considered the guardians for an underage illegal. Ending DACA was one of the most important goals for Donald Trump, who made curtailing illegal immigration from Mexico a major goal of his campaign. But because of the cowardly actions of Republicans in Congress, he considered negotiating with Democrats to secure tax cuts and funding for the wall. This led to suspicious statements from the POTUS, almost supporting the criminal policy. It’s different this time around. And will probably be different from now on. American populists will not condone actions that do not reflect their interests. Their ability to make their voices heard through a variety of channels has already affected the administration. When it looked like Trump would select anti-Trump Mitt Romney as Secretary of State, his supporters all but rioted online. A statement was quickly made, saying Romney was not the guy. When Trump announced he was bombing Syria over their use of chemical weapons, again there was outrage. Trump wasn’t elected to start wars, but to focus on domestic issues. Since that first strike, there’s been little more. 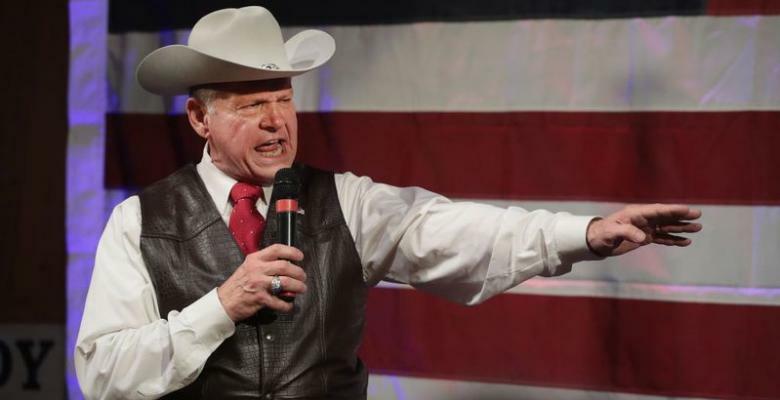 Now with the pick of Roy Moore as the Republican nominee for the Alabama Senate seat, Trump supporters are making it clear they want populists, not apologists, in D.C.
Roy Moore’s insurgent victory in Tuesday’s U.S. Senate Republican primary runoff in Alabama marks a definitive rejection by Donald Trump’s base of his shift toward working with Democrats on issues like the Deferred Action for Childhood Arrivals (DACA) program. They are just as frustrated as he is with congressional Republicans, but they see the answer as sending more committed representatives to Congress, not cutting bad deals with Democrats. Many people were shocked when they learned that Trump was endorsing Strange over Moore. Moore was a dedicate pro-Trump supporter. He mirrored many of the same concerns as Trump supporters. He resonated with populists, as a no-nonsense former judge—who even pulled out his concealed handgun to show off at a rally. Even populist Steve Bannon campaigned for the man in the runup to the primary. During his speech, Bannon addressed the large media presence in the state, noting it was because they knew what was at stake in the Senate race. Why did Trump endorse the other man, then? Why was he backing someone whose goals conflicted with the very issues Trump used to get elected? Is Trump going soft? Does he really want to protect DACA—a move that will ensure his fall from popularity? It’s obvious many Republicans in Congress lack backbone. They refused to repeal Obamacare, despite complaining about it for years. When trying to put forward tax and immigration reform, Trump has received pushback, even from these so-called “conservative” leaders. He was all but forced to deal with Democrats, just to get something moving. But clear-cutting a deal that contradicts his base’s concerns will mean all but disaster. As we move to the close of his first year in office, Trump has to face a certain reality. The D.C. swamp cannot be drained overnight. Politicians on both sides want his vision for America to fail. They will use all their dogs in the media and government to fight back. His supporters don’t care. They want to see his promises come to fruition. That means sending more outsiders and populists to Washington. That means fighting tooth and nail until the goal is achieved. What will Trump do in response? Will he listen to his people, or cave to political pressure? If history is any indication, the people will win out.